etusivu / Tapahtumat / What Has Remained of the USSR? What Has Remained of the USSR? Almost three decades have passed since the dissolution of the Soviet Union. However, the disintegration of a former superpower cannot happen in such a manner that its heritage would disappear without a trace. The Finnish Institute of International Affairs (FIIA), in cooperation with the Konrad Adenauer Foundation and with the participation of a group of European and Russian experts on the post-Soviet space, undertook a major research project to analyse the remaining material and other structural legacies of the USSR. The aim was to find out, among other things, whether re-integration of the post-Soviet space, or a part thereof, around Russia is still possible and what kind of centrifugal and centripetal forces are still at play. In other words, the intention was to assess whether it still makes sense to speak about post-Soviet space as a collective region. The seminar, organised by FIIA in connection with the publication of the study, will present the major conclusions of the project. András Rácz defended his PhD in Modern History in 2008 at the Eötvös Loránd University in Budapest, Hungary. Between 2007 and 2014 he worked at the former Hungarian Institute of International Affairs, as well as the Center for Strategic and Defense Studies. 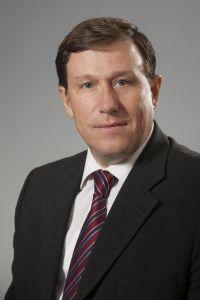 In 2014–2016 he was Senior Research Fellow of the Finnish Institute of International Affairs in Helsinki. Since his return to Hungary, he has been Associate Professor at the Department of International Studies of the Pázmány Péter Catholic University. 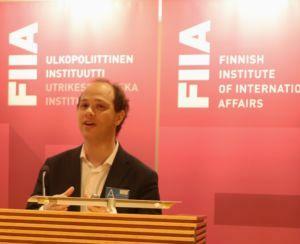 He is also Non-Resident Research Fellow of the Estonian Foreign Policy Institute operating in Tallinn. His fields of expertise include security and defence policy issues of the post-Soviet region, as well as Russian and Central-European relations. 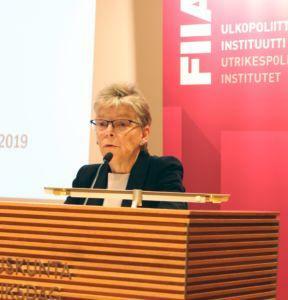 Gudrun Persson is director of the Russian and Eurasia Studies Programme at the Swedish Defence Research Agency, FOI, and Associate Professor at the Department of Slavic Studies, Stockholm University. She focuses on Russian security policy, and Russian military strategic thought. Her publications include ‘Russia and Baltic Sea Security – A Background’ in Dahl, Ann-Sofie (ed.) Strategic Challenges in the Baltic Sea Region – Russia, Deterrence, and Reassurance (Georgetown University Press, 2018), Russian Military Capability in a Ten-Year Perspective 2016 (2016 edition), and Learning from Foreign Wars: Russian Military Thinking 1859–1873 (Helion, 2013). Alexander Libman is Professor of Social Sciences and Eastern European Studies at the Ludwig Maximilians University of Munich. His research interests include comparative political economy of authoritarian regimes, Russian subnational politics and Eurasian regionalism. He co-chairs the Economy Group of the German Association of Eastern European Studies and is a member of the editorial board of the journal Post-Communist Economies. His most recent book, Authoritarian Regionalism in the World of International Organizations (with Anastassia Obydenkova), will be published by Oxford University Press in spring 2019. 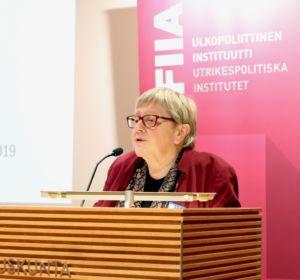 Teija Tiilikainen is the Director of the Finnish Institute of International Affairs (FIIA). 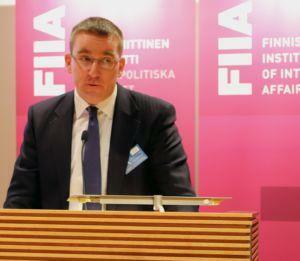 Previously, Dr. Tiilikainen was the Director of the Network of European Studies at the University of Helsinki (2003-2009). She has also served as Secretary of State at the Ministry for Foreign Affairs of Finland from 2007 to 2008. Dr. Tiilikainen was the Special Representative of the Prime Minister of Finland in the Convention on the Future of Europe in 2002-2003. 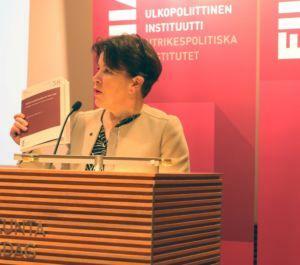 Currently, she is also Editor-in-Chief of Ulkopolitiikka – the Finnish Journal of Foreign Affairs. Elisabeth Bauer is Head of the Office of the Konrad Adenauer Foundation of the Baltic and the Nordic countries in Riga. From 2010 until the end of 2014 she was the head of the regional branch of the Konrad-Adenauer-Stiftung in Dortmund / Westphalia. Previously she was the representative of the foundation in St Petersburg (2005 - 2010). She started her work with the foundation in 1993 working in different branches in Germany. Elisabeth Bauer, born 1958, graduated in History and Catholic Theology from the University of Cologne, where she worked as a staff member and scientific officer in different positions in teaching and research focused on international relations.